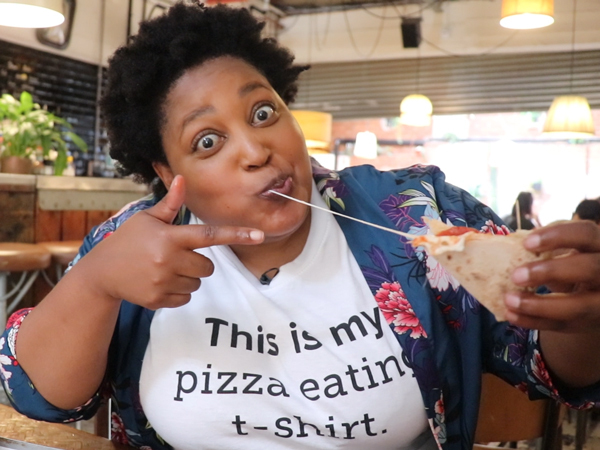 It’s time to banish all thoughts that nutritious food has to be boring and tasteless, and check out this list of healthy restaurants in Cape Town. Health-conscious city dwellers can stop off at this café for a range of interesting salads and freshly squeezed juices. No preservatives or artificial flavourings are used. 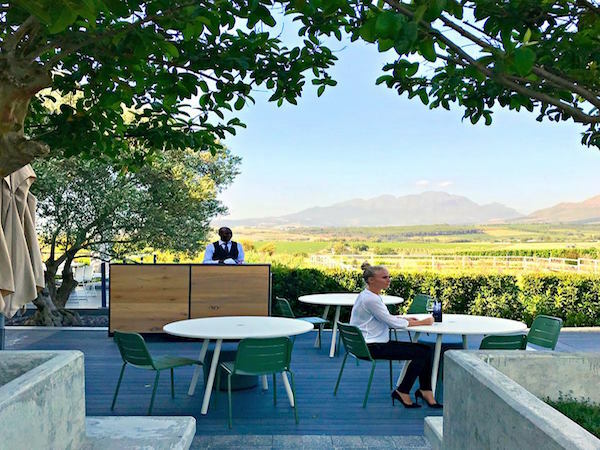 The menu changes daily, but usual options include the likes of rotisserie chicken or spinach-and-feta quiche with sides of beetroot, pear-and-feta salad, roast veg with thyme, or chopped Israeli salad. Cool off with a refreshing watermelon-and-mint juice. The buffet offering at Cafe Frank. Photo supplied. 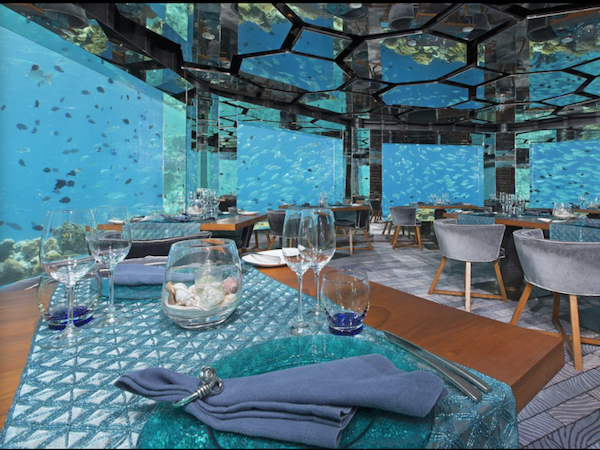 There are only three options available at this grown-up canteen: a meal containing meat or fish, a vegetarian meal, and a lighter meal. Arrive between 12pm and 4pm, choose your meal and beverage, then pay at the counter. Dishes might include lemony summer-pea risotto with spring leaves and asparagus, wood-roasted lemon-atchar chicken with a side salad and cumin baji, and mango-and-lime frozen yoghurt for dessert. 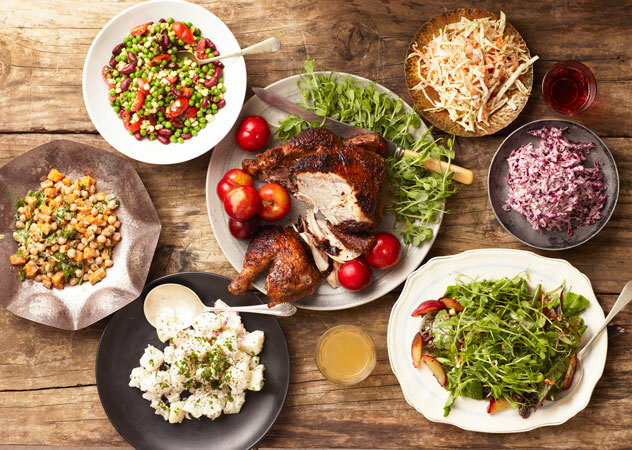 This stylish lunch hatch serves up fresh, Ottolenghi-inspired seasonal salads with a choice of protein. 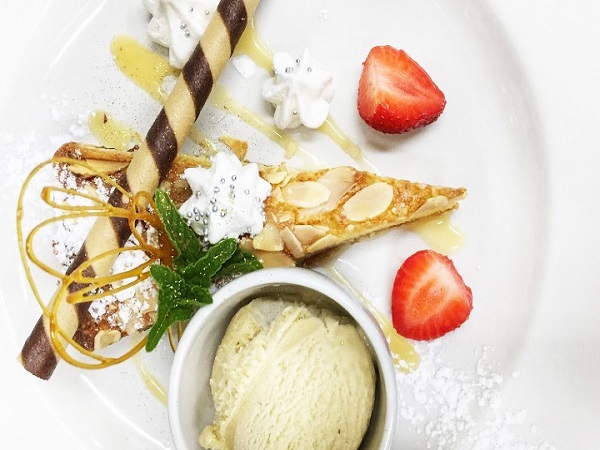 Must-tries are the rare roast fillet, Moroccan chicken and sesame-crusted salmon, paired with veg options such as barley-and-radicchio salad, roasted butternut with herby yoghurt, or French beans with cucumber, mange tout and egg noodles. End on a coconut-dusted date ball or gluten-free brownies. 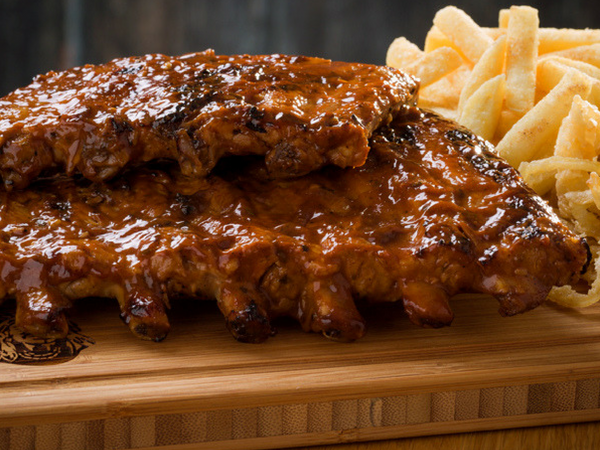 Over here at TGS we make it easy for you to eat the right way. Everyday our fridge is filled to the brim with salad and protein options. Here we’ve got roasted butternut and pumpkin, in a herb yoghurt with baby spinach. Come on over! The menu at this trendy poké eatery lets fans of this fresh food craze get creative with build-your-own options or set bowls. The No. 1 features fresh tuna, shredded kombu, sweet onions and furikake seasoning, while the No. 4 offers a twist on the classic with hot tuna, jalapeños, charred pineapple and nacho dust. The real favourite, though, is No. 5, with fresh salmon, beets and ponzu dressing. If raw fish isn’t your thing, you can opt for cooked prawns, chicken, beef or tofu. Lucky 7: Prawns, Seasonal fruit, Avocado, Radish, Edamame beans, Pistachios, Mint, Coriander. This 100% vegan spot keeps guests happy with clever and comforting vegan eats. Think raw pizza with crispy butternut and sundried tomato purée, a sweet potato and kimchi burger with avo and sweet-potato fries and raw vegan cupcakes for dessert. Cold pressed juices and smoothies keep patrons hydrated. Salads here are an event in themselves, so you won’t feel that you’re missing out by eating veg. The selection changes daily and can be made up into lunch boxes to go. Add some grilled chicken or bacon if you’d like a little more protein, or try falafels thrown over your favourite greens. Around 90% of this vegetarian menu is also vegan and there are wheat- and dairy-free options available. Most of the ingredients used are low fat, and the cream is fat free. Dive in to a Durban-style butter bean curry, or mushroom korma cooked in cream and coconut sauce. For dessert, enjoy vegan muffins or the egg-less chocolate brownies. Inspired by the ancient craft of Asian broth and the rise of bone-broth bars in New York, London and Sydney, this hole-in-the-wall restaurant was one of the hottest spots to open in Cape Town in 2017. 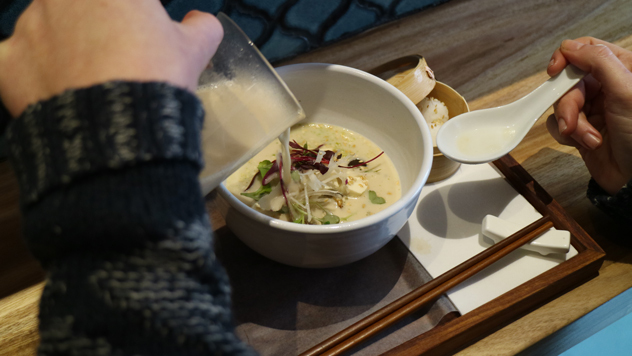 A one-pager menu offers four delicate but surprisingly satisfying bowls, like the clear soy broth with roasted chicken and chorizo; the green dashi and parsley broth with steamed white fish, tenderstem broccoli and leek; or the brown bone broth with red wine, venison and lentils. Add a soft boiled egg or sticky rice balls to bulk it up. Grab lunch early, before the crowds take all the stools. A dish served at Marrow. Photo supplied. 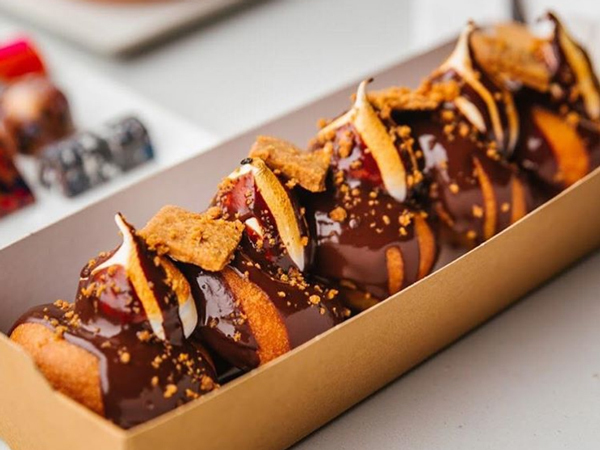 While this massive foodie market offers plenty of indulgent treats, the venue also caters for the healthy crowd. Head to Beetbox for vibrant organic fruit and veg smoothies, get build-your-own trendy salads at Salad Bae, and order refreshing poké bowls at Hokey Poke. This vegan-friendly spot is known mainly for their fresh juices and smoothies, but they also have a great food menu. Order one of the gourmet sandwiches with mashed avo, homemade cashew nut cream cheese, fresh tomatoes and wild rocket on sourdough or gluten-free bread. Or, for something a little heartier, try one of their bowls with mushrooms, quinoa, baby greens, vegan cashew nut cream cheese and toasted seeds. Apart from the impressive range of cold-pressed juices, smoothies and health shots, the selection of fresh meals is enough to make any health fundi swoon. Try the Orchard fresco sandwich on 70% rye with avo, hummus, sunflower sprouts, basil and a French dressing, or the dreamy zucchini pasta with zucchini and butternut noodles, red pepper, marinated mushrooms, sunflower sprouts and a tumeric-and-cashew sauce. A takeaway salad at Orchard on Long. Photo supplied. 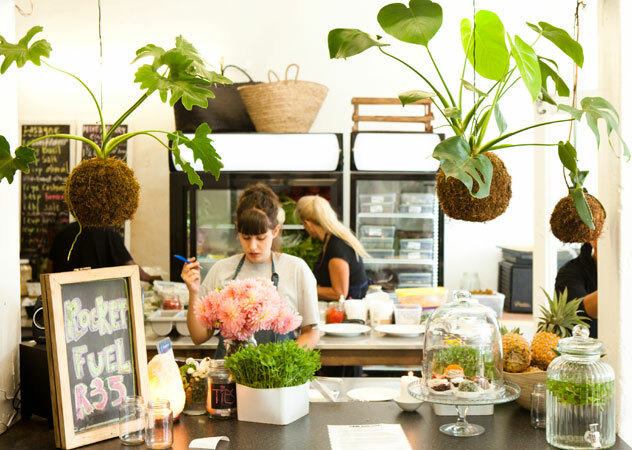 This green food hotspot has recently reopened and serves up plant-based food that’s packed with nutrients and flavour. Try the wrap with tempeh rashers and cauliflower scramble with caramelised onions and cashew cream cheese; Cape Malay bobotie of lentils and baby marrows; or the buddha bowl with roasted carrots, beetroot, mushrooms and toasted coconut flakes. 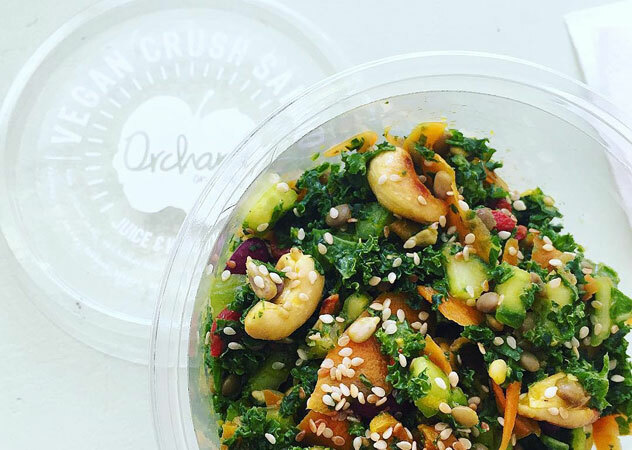 This healthy favourite offers raw vegan food, salads, freshly squeezed juices, vegan patisserie, vegetable chips and smoothies. For healthy comfort eating, try the lasagne made up of layered zucchini, raw cashew-nut cheese, green pesto and tomato relish. Or sample the sweet-and-sour vegetables with green cabbage, carrot, red pepper and spring onion. Top it all off with a peppermint ‘Oreo’ cookie made from almonds, coconut, cocoa, peppermint oil, honey and coconut oil. Raw & Roxy in Woodstock. Photo supplied. Choose from a wide selection of fresh salads and vegetarian options, prepared daily. The harvest table of Mediterranean and Middle-Eastern-style food offers healthy, home-made options like salads of rare roast beef fillet, feta and basil; roasted zucchini with lemon; and baby spinach with tomatoes and raw mushrooms. End off with a date ball and a coffee. 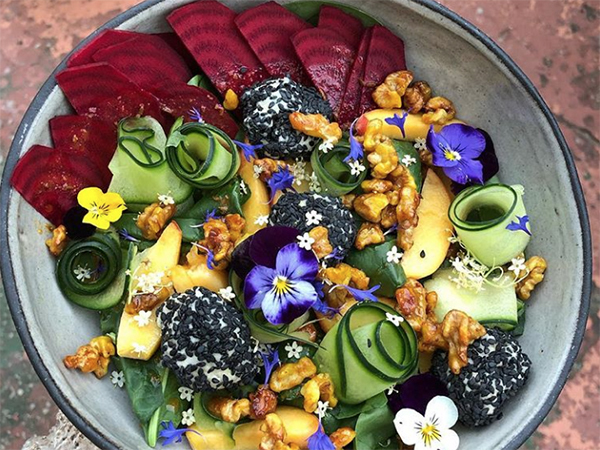 This raw, organic, vegan and vegetarian restaurant is based in the heart of Sea Point’s busy Regent Road. The matcha flapjacks are a real winner, topped with vanilla, agave, cinnamon and strawberries. For something savoury, go for the falafel wrap with vegan tzatziki, greens, carrots and a secret dressing. 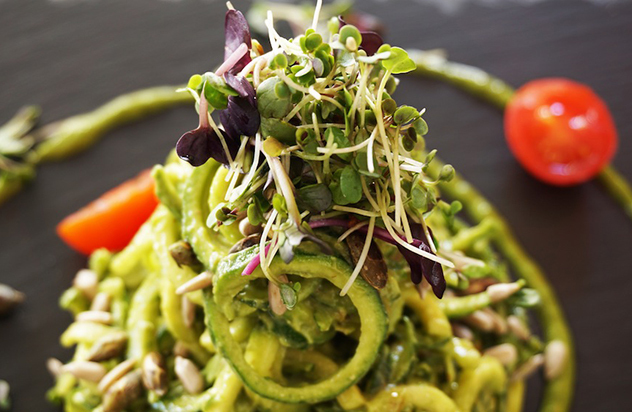 Or go for the raw zucchini pasta with sunflower seeds and a lemon-and-avo pesto. For a delicious side, order the sweet potato fries with wasabi aioli. 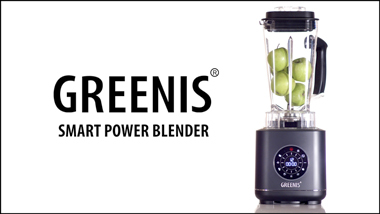 Stop by for something healthy at Scheckter’s Raw. Photo supplied by the restaurant. 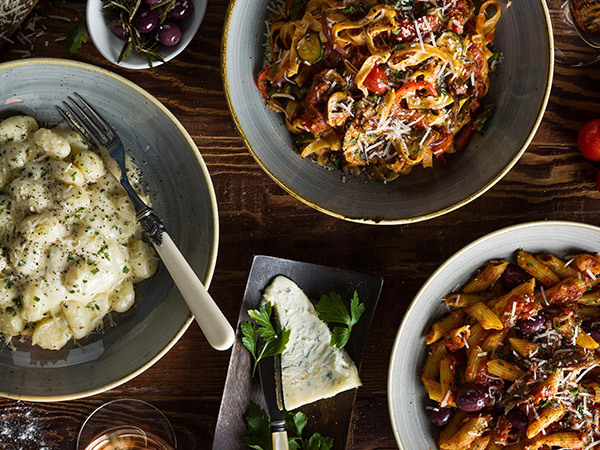 This new spot aims to serve fresh food made from scratch with seasonal produce. The team will reward you with a discount for bringing your own cup when purchasing any hot drink – coffee by Deluxe Coffeeworks included. 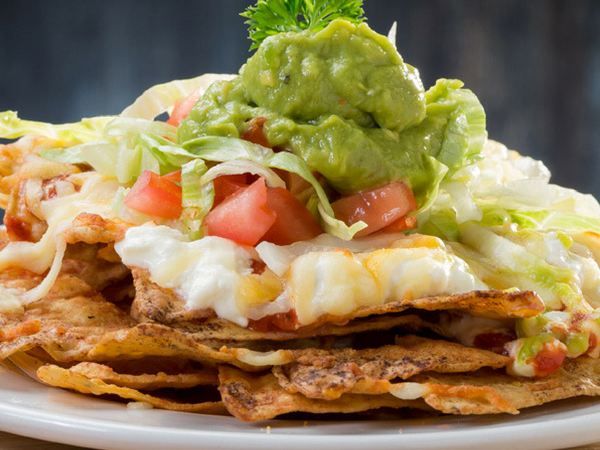 On the food front, there are dairy-free, vegetarian, vegan and gluten-free options available. 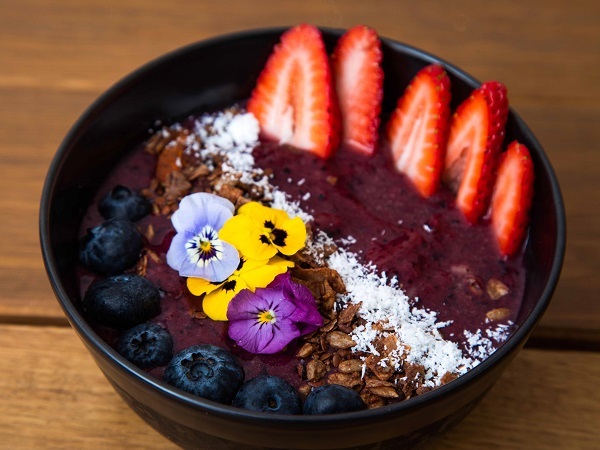 Think dishes like smoothie bowls with Amazonia organic açai, frozen blueberries, filtered water and banana; all-day toasties with chunky cottage cheese, crushed avo, oak-smoked trout and crispy onions; and warm bowls with chilli beef mince, corn, white cheddar, guacamole, nacho chips and crème fraîche. For those with a sweet tooth, expect treats like the Wake and Cake: a gluten- and guilt-free honey cake with orange, almonds and yoghurt. The concept at this little eatery is a simple one – wholesome, fresh food made with the best possible ingredients. Expect to find interesting, filling salads, veggie curries and wraps. Don’t miss out on their smoothies and hot drinks, made with homemade nut milks and butters.